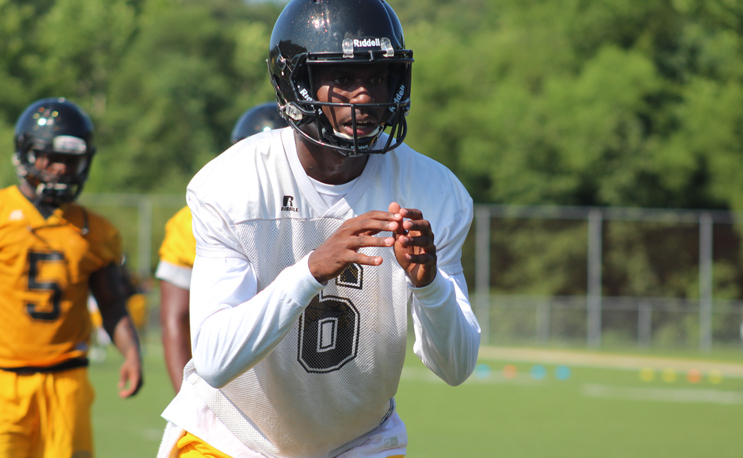 Bowie State entered fall camp lit up and ready to go as they stepped on the field for the first practice of the 2018 camp season earlier this week. Predicted to win the CIAA, there is a lot expected of the Bulldogs. The nation’s top division II offense, led by senior quarterback and Deacon Jones Trophy award winner Amir Hall, brings back 44 returning players from last seasons’ 9-2 playoff squad. Other standouts include safety and all-conference returner William Flowers, CIAA sack leader Derrick “Nico” Tate, and all-conference place kicker Gene Carson. Check out some photos from Day One of BSU’s fall camp.